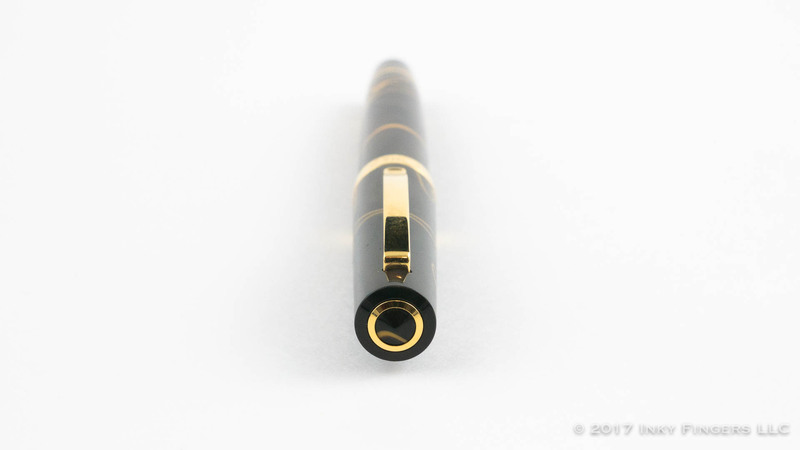 Early on in my reviewing career, I did a review of the OMAS Notti di Bologna. 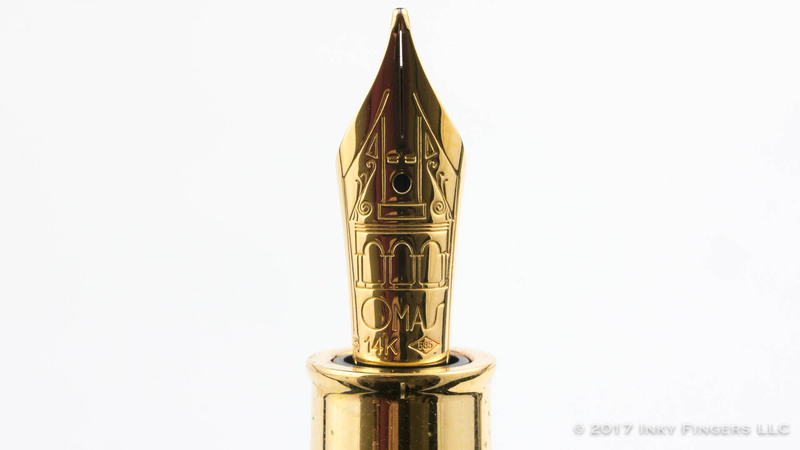 At a price of around $400, the Bologna was among OMAS’s “entry-level” pens. 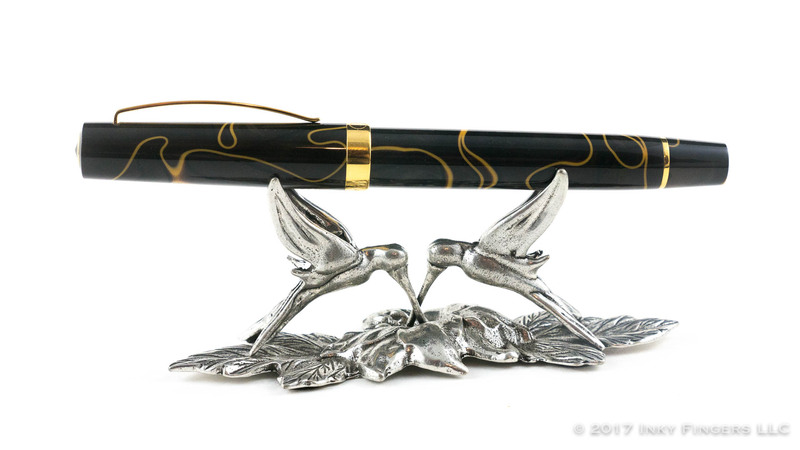 I liked the pen a lot, although I wasn’t super-enamored of the metal section. 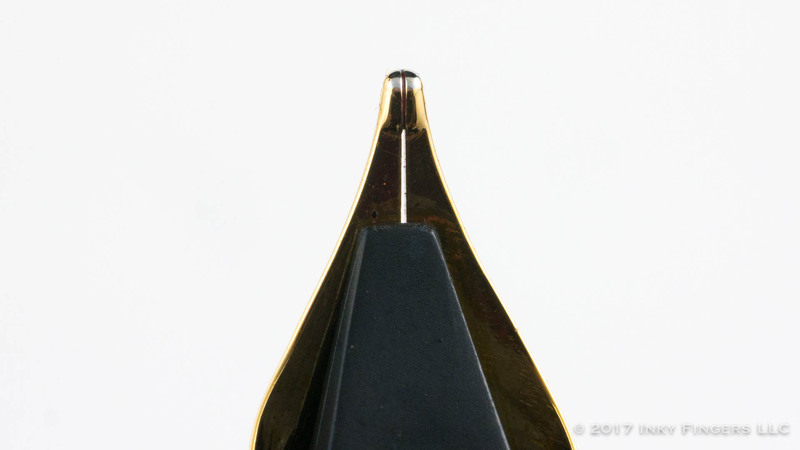 The nib was smooth and rigid with a decent ink flow. 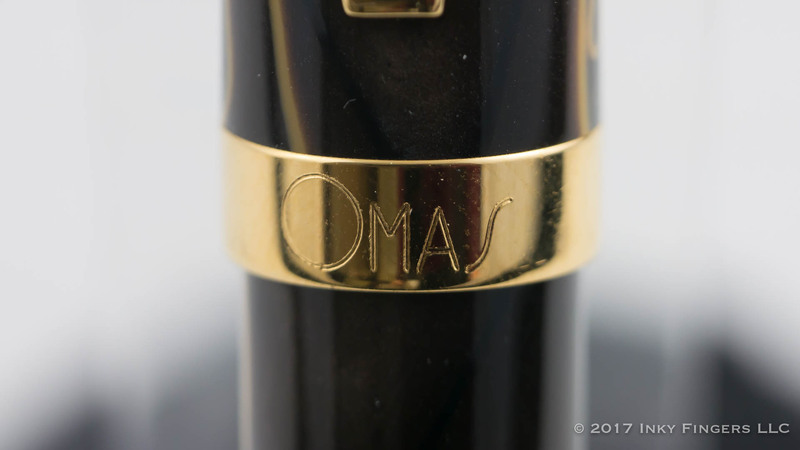 And true to OMAS’s reputation, construction was wonderful. 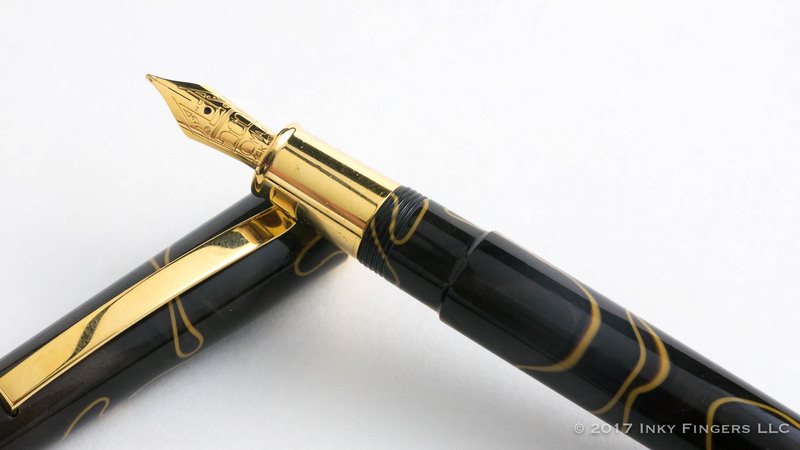 It was a great pen. 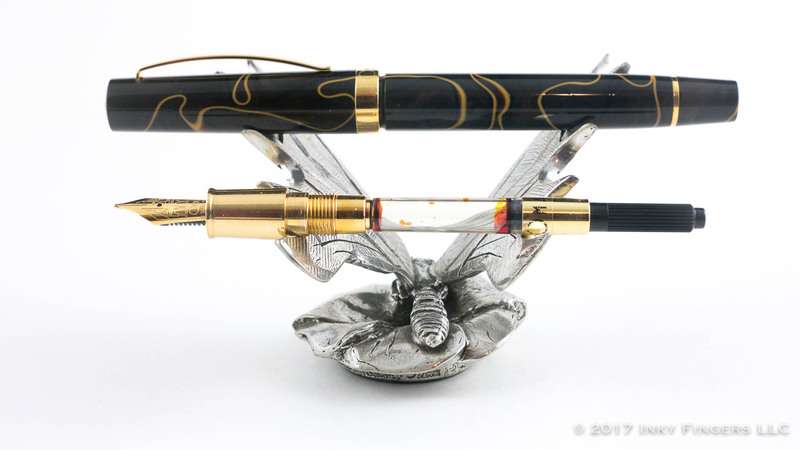 About a year ago, I received a package in the mail containing three wonderful pens, and in it was this lovely. 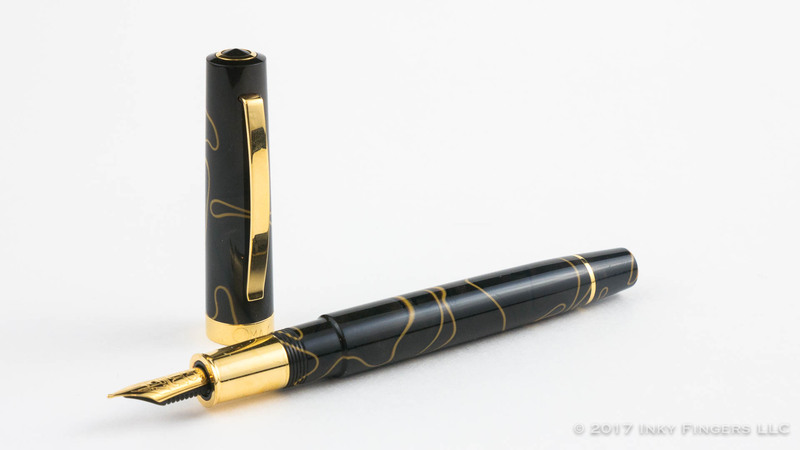 The OMAS Bologna Caramello is, from a design and functionality standpoint, pretty much identical to the Notti di Bologna that I reviewed back in January 2014. 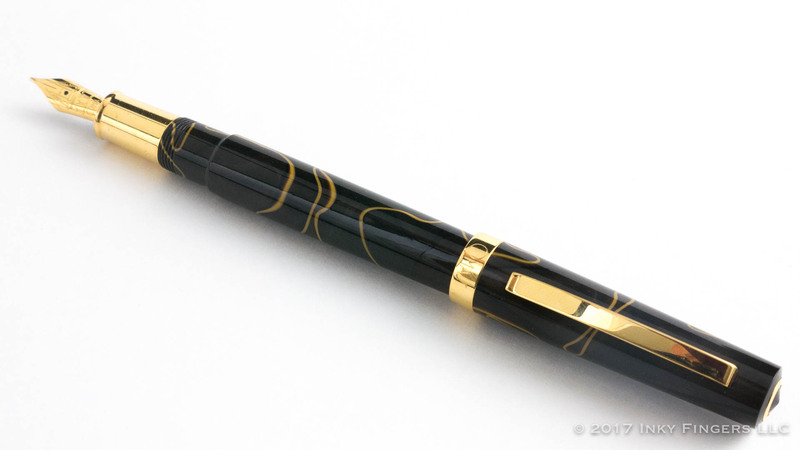 What makes this pen a little different is the material. 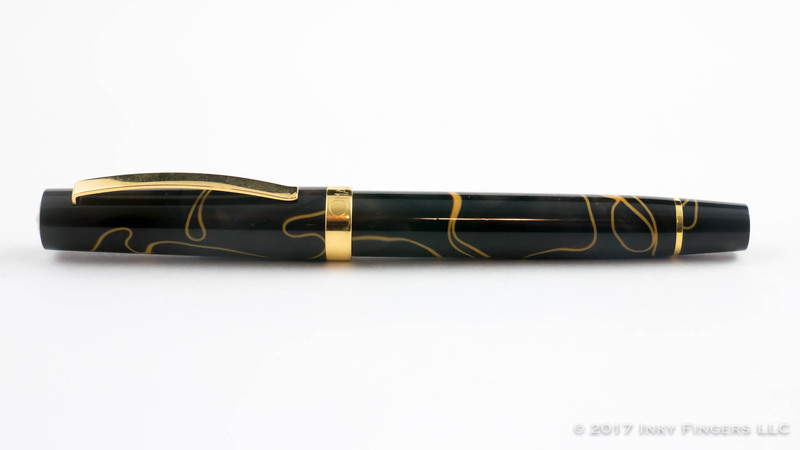 Made in a limited edition set of 50 pens for the U.S. pen retailer, Fahrney’s, the Bologna Caramello was only available for a short time. 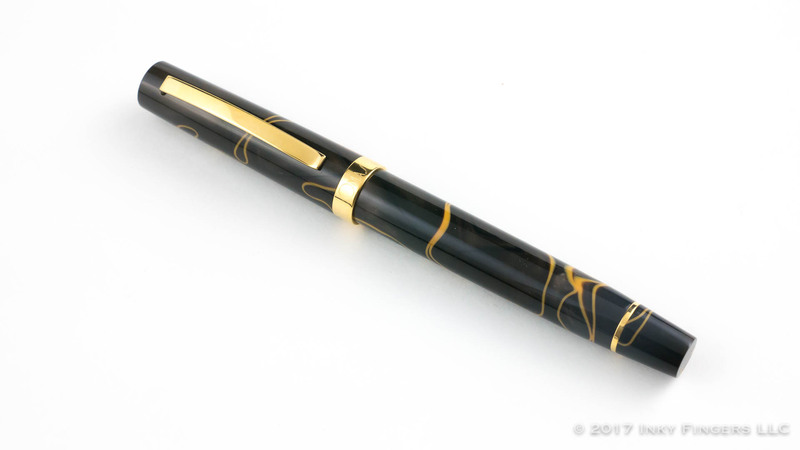 The material is a dark black/grey/brown shot through with highly-contrasting swirls of a caramel-colored yellow-brown. 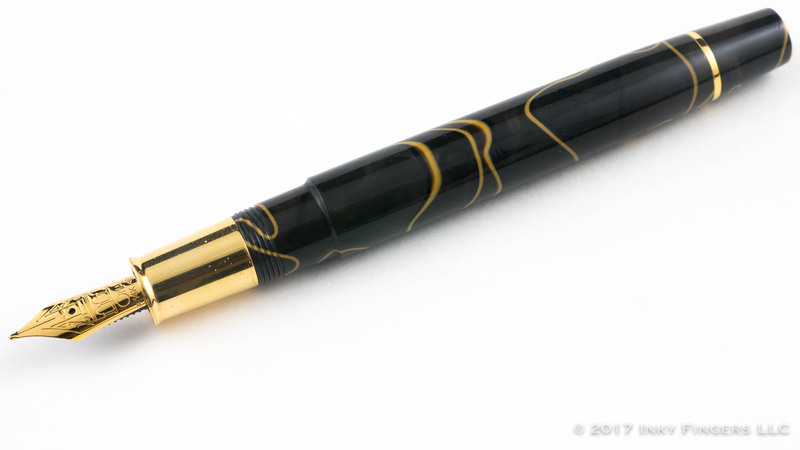 Overall, the Bologna Caramello is a lovely pen, but the metal section still means that it’s not quite for me. 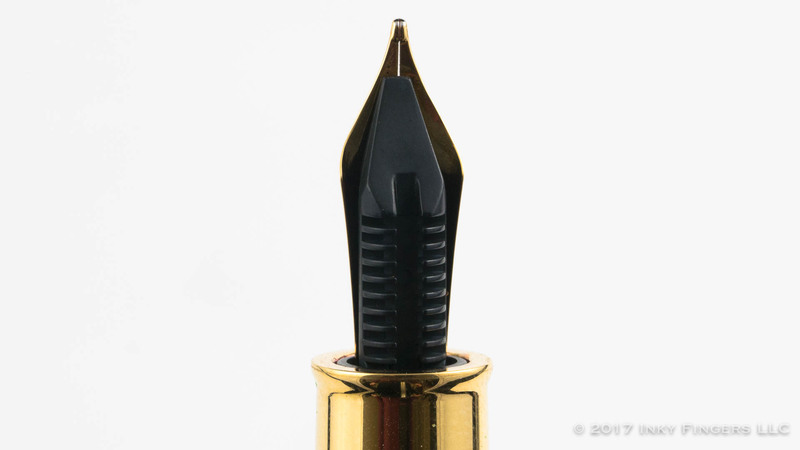 But if you’re looking for an OMAS that has a really rigid nib combined with the production quality that OMAS was known for, the Bologna Caramello could be a great addition to your collection…assuming, of course, that you can find one. They’re pretty much only available these days on the secondary market. 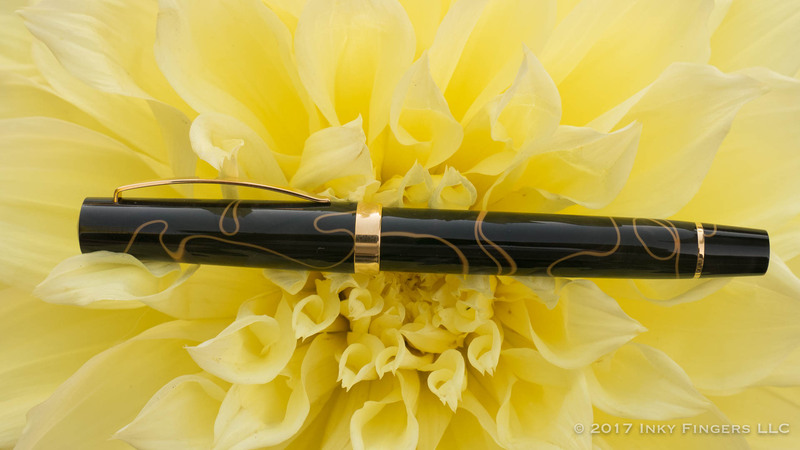 The pen for this review was sent to me (completely unexpectedly and free of charge) by a very generous viewer. Thanks Mark!